There’s been debate for years about the true effectiveness of speed reading. Advocates say yes, you absolutely can boost your reading pace exponentially. Meanwhile, critics argue that surge always comes at the expense of comprehension. No matter which side is correct, the study of increasing reading speed and retention has turned up some interesting facts. BeeLine Reader has capitalized on one of those findings as the basis for a cool new reading speed system that’s showing serious results. Thanks to a new TNW Deals offer, you can take advantage of the BeeLine Reader method at a major discount, just $29.99, an 86 percent savings. So what’s BeeLine Reader’s “trick”? 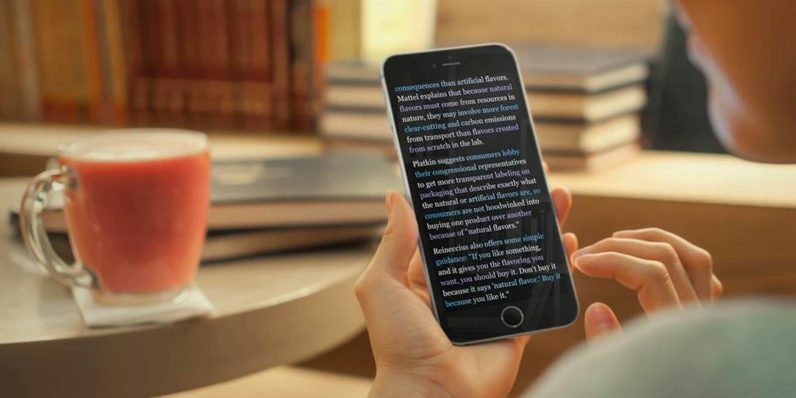 They’ve discovered that adding shifting color variance to your text produces radically improved reading speed. With BeeLine, the red text at the end of one line automatically snaps your eye back to the same red color at the start of the next line. As that line shifts to blue or green or standard black, your eyes fall in step and begin to automatically track, instinctively staying focused without losing track of your place. With your reading flow uninterrupted, BeeLine says you can expect your reading speed to rise as much as 20 percent. And that’s without any sacrifice in reading comprehension. In case you’re still skeptical, BeeLine has picked up awards from institutions like Stanford, Dell and the Tech Museum of Innovation to go along with more than 100 upvotes on Product Hunt. BeeLine works with Google Chrome and Firefox browsers, so give it a try now at a big savings off its $220 retail price with this limited time deal.